Dorothy Alexandra Sirigas (Daisy), 95, fell asleep in the Lord on Tuesday, January 22nd, 2019. Dorothy was born July 5th, 1923 in Youngstown, Ohio. Her parents, Emmanuel and Koula (Bratsis) Magoulakis were Greek immigrants from the island of Ikaria. She married Lewis W. Sirigas (Louie) on November 4th, 1945, and after his death on their wedding anniversary in 1964, he remained her one true love for the rest of her life. She had three small children to raise. She was at the center of an extremely close family with whom she cherished. Dorothy loved nothing more than spending time with her family. She enjoyed listening to Greek music, following Pirates baseball, taking trips with the family (especially to the beach), Greek Ikarian conventions (family reunions), and her little poodle named Juicy. She loved life, loved to laugh and make us laugh, her beautiful smile was contagious. Always on the bright side of things, she would be singing songs every morning, very outgoing our “live wire”. Never a dull or quiet moment when she was around. She was a beautiful person inside and out in which we had the privilege to call mom. She was in sales for 37 years at Strouss’ Department Store in downtown Youngstown retiring in 1987. 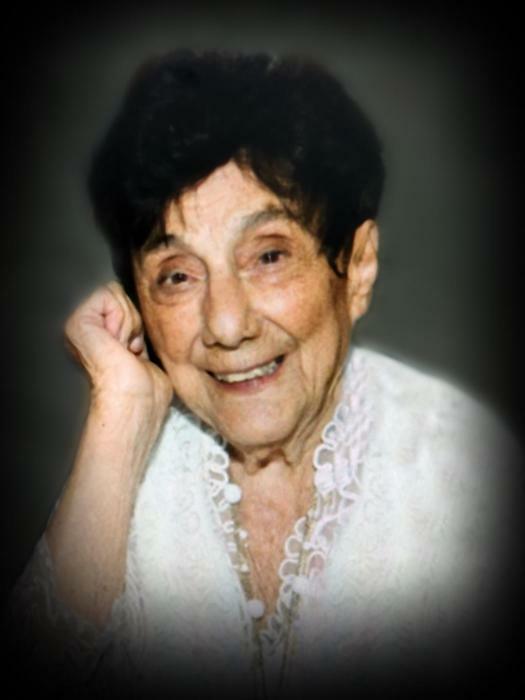 She was a member of St John’s Greek Orthodox church, St Nicholas Greek Orthodox Church, the Pan Ikarian Club Pramne chapter where her parents were founding members. She leaves behind a loving family, two daughters, Cheryl Sirigas Tabak, Valerie Sirigas (Fred), a son, William Sirigas (Linda), granddaughter Kyra End (Brad). She was preceded in death by her parents, Emmanuel and Koula, her husband, Lewis, and her brother Michael. Friends may call from 4 to 7pm on Sunday, January 27th at vaschak-kirila funeral home in cornersburg where a Trisagion service will be held at 6 pm and from 10:30 to 11am on Monday, January 28th at St. John’s Greek Orthodox Church. Funeral services will begin at 11am. In lieu of flowers, contributions may be made to St. John’s Greek Orthodox Church (Glenwood Ave) or St. Nicholas Greek Orthodox Church (Walnut Street).